Plus, a new trailer for the upcoming Idolmaster Movie. 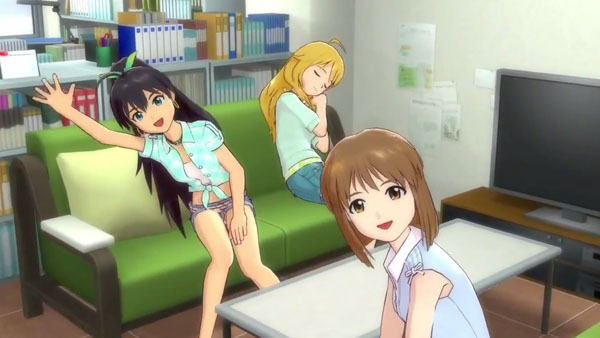 The upcoming PlayStation 3 game is planned for a retail and download release (via Imas Channel), and allows players to produce the 13 girls of 765 Production. There will be new songs, like “Only My Note,” and new costumes. Namco Bandai also released a new trailer for The Idolmaster Movie: To the Other Side of the Light!, due out in theaters on January 25 in Japan. Watch it below.